Pinnacle Martial Arts instructors have helped me build my confidence, and also has helped me become a better dancer. I have achieved a Gold Medal at the 2016 Australian Championships in Victoria in Black Belt Division. 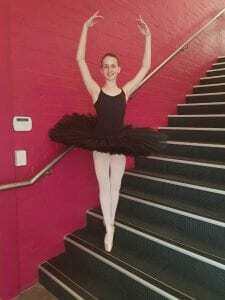 This Taekwondo academy in Marrickville its really good for my ballet because it strengthens my legs, which helps me to balance. 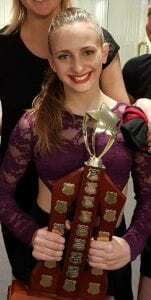 Olivia Tarlamis has been awarded dancer of the year 2018 for second time and is also Taekwondo Australian Blackbelt Champion. This is proof that cross training is a major key to success in sports. Taekwondo and Dancing both complement each other with flexibility, balance, fitness, focus, discipline, coordination and being able to remember a set of dance moves and Taekwondo Patterns which is a set of Martial Arts movements.